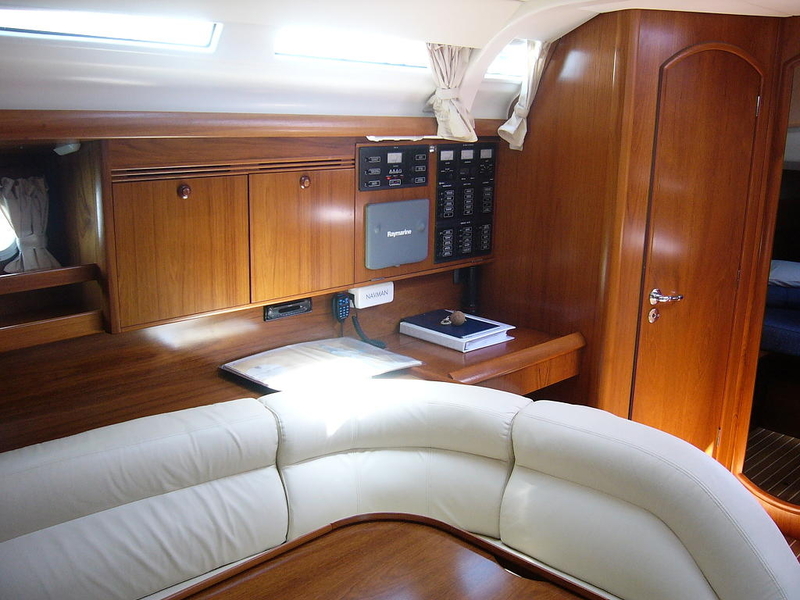 Charter agency guaranties the truthfulness of the information in connection with the charter offer presented and also for the truthfulness of the conditions under which the charter fleet is offered. Charter company takes care and maintains the offered vessels with the attention of a good host and guaranties that they are technically in order and in good condition.The person who pays in advance (henceforth The Client), and thus confirms his reservation for one or more vessels from the Charter company's offer, establishes a legal relationship with Charter company by which he consents that he agrees with the general terms of renting vessels and with the terms that are herein given for his consideration. All data announced in these conditions presents legal obligation, both for the Client and for Charter company. These conditions are the foundation for resolving eventually arisen disputes between the Client and Charter company; therefore you are obliged to read them carefully. Applications for booking a vessel are accepted via e-mail by way of filling out the booking form provided by Charter company. Bookings may also be done in the office of our agency, or in the offices of the Charter company partner-agencies that are authorized to sell the services we offer. During the application process, the Client is obliged to give all information requested in the intended reservation form. The same applies during the Client's application in our office, or in the offices of the Charter company authorized representatives to whom he must present all documents necessary for carrying out the regulated procedures.If the Client has not performed the above-mentioned steps during reservation of the vessel, 2 weeks before the beginning of the renting period, he is obliged to give Charter company the crew-list with their full names, addresses, dates of birth and the kind of valid identification documents. The prices are expressed in Euros. Charter company reserves its right of changing the prices, if the legal conditions, or taxation change. All listed prices refer to a seven-day rent, from Saturday to Saturday. 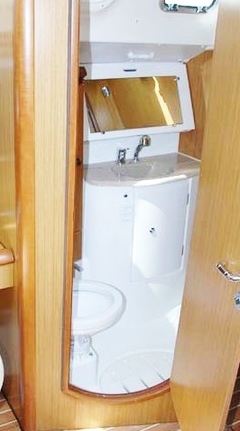 The listed prices include: a technically in order, clean and dry vessel with full tanks of fuel and water; using the vessel and its devices; an obligatory vessel insurance; a comprehensive insurance that exceeds the value of the deposit defined by the contract; Croatian sailing license, and a charter license of the vessel. 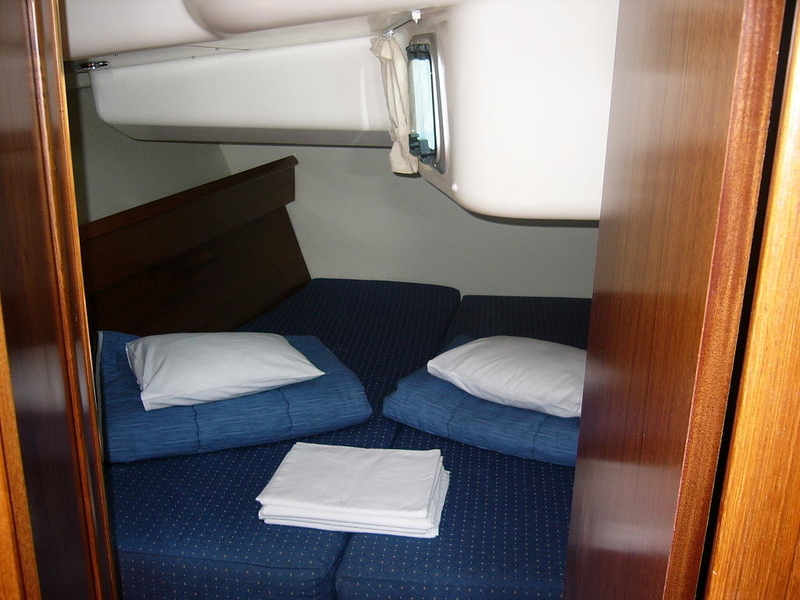 All this information is presented on our web pages during reservation of the yacht. 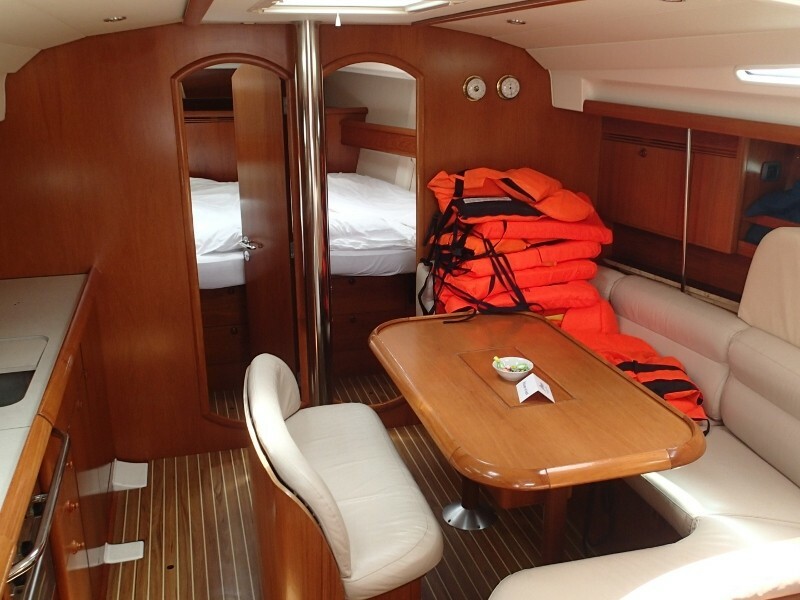 The listed prices of the vessels do not cover port expenses (port and berth taxes in the main harbor, sojourn and other tariffs), optional vessel equipment, fuel expenses, all other necessities, Charter company crew compensations and all other services, such as health and accident insurance for the crew. Should there be any changes in the prices after the advance payment is made, Charter company guarantees that the Client will pay the remaining amount according to the agreed conditions. In order to confirm the requested reservation of the vessel, the Client has to make a advance payment that equals 50 % of the complete arrangement. The remaining amount has to be paid 6 weeks prior the beginning of the rental period, at the latest.The Client can start embarkation only when all the necessary payments are made.By paying in advance, the Client confirms that he is completely familiar with all characteristics and conditions under which the certain vessel is offered to him. By paying in advance, all that is mentioned in these conditions becomes legal obligation, both for the Client and Charter company.The final settlement will be made together with the Charter company representative, or with the owner of the vessel, upon returning it, at the end of the renting period in the harbor agreed as the vessel's final destination. for cancellations up to six weeks before the beginning of the renting period, Charter company charges 50 % of the whole arrangement, i.e. no refund is made form the advance payment. for cancellations up to one month before the beginning of the renting period, Charter company charges 70 % of the whole arrangement. The rest of the payment is refunded to the Client at his/her own expense. for cancellations within a month before the beginning of the renting period, Charter company charges the whole 100% of the renting cost. If the Client who is canceling the rented vessel finds another user who is willing to overtake his rights and duties for the same reservation, Charter company only charges for the expenses caused by the change. If cancellation is caused by force majeure, i.e., due to objective reasons on the Client's side (death in the family, health reasons, terrible accident,), Charter company will offer another vessel at his disposal, the next season the latest. In this case, the cancellation charges are credited in the rental of the vessel offered. The refund is made immediately after confirming the amount that has to be returned to the Client. The payment can be done exclusively to the giro or foreign currency account of the Client. When it comes to the currency transfer, the expenses of wiring the money to a foreign country are billed to the Client. During checking-in, the Client must leave an obligatory deposit for possible losses and damages occurred during the renting period, regardless the insurance coverage. The deposit must be made in cash, or by credit card. The modalities and amounts of the deposit are shown on our internet pages during presentation of the vessel. The deposit will be returned to the Client after the Charter company representative establishes that the vessel has been returned in the appointed time and at the appointed place, undamaged, with full tanks of fuel and water and under the condition that there are no further requests from a third party, nor there are announced ones, concerning the Client that are connected to the his usage of the rented vessel. In case of brutal negligence, i.e., damaging the vessel and/or the equipment, and in case of a loss of one or more parts, the Client takes responsibility of related expenses. 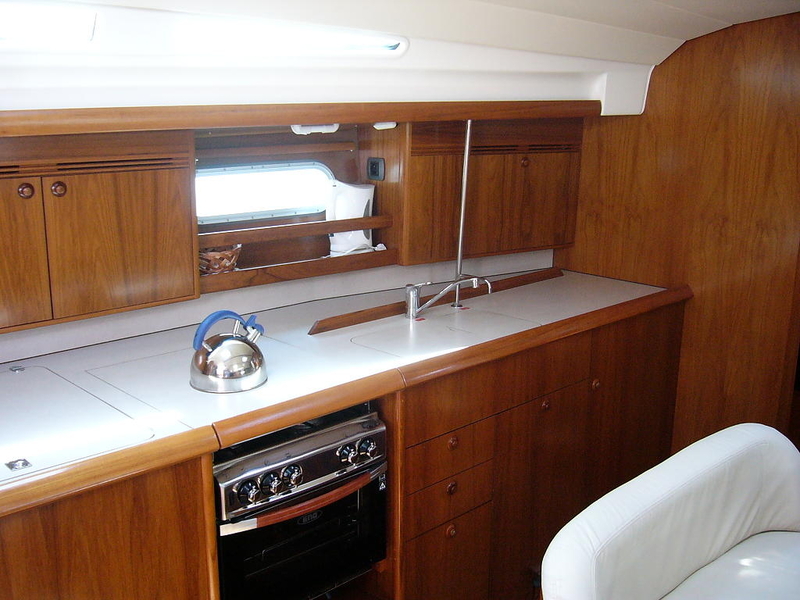 Charter company will deduct the amount from the deposit that covers the repair expenses, the acquiring and/or purchasing of the equipment, or separate parts of the vessel. If due to a damage, loss of the vessel or the equipment, renting is not possible anymore, the value that Charter company will keep from the deposit will equal the value of the lost goods. Leaving the deposit is obligatory also in cases when the vessel is rented along with a skipper hired by Charter company. In this case, the set down deposit cannot be used for covering the expenses caused by the skipper's negligence, bad steering of the vessel and bad management of the equipment. The vessels is delivered in the appointed time and place, from 17.00 to 20.00 hours. If the Client does not take the vessel within 48 hours from the appointed time without previously announcing it, Charter company is authorized to one-sidedly break the renting contractand the Client has no right tosubsequently ask for compensation. If due to any reasons Charter company is not able to deliver the reserved vessel in the appointed time and place, it has 24 hours from the appointed time of delivering the vessel, toprovide the Client with another vessel with the equal or better characteristics. If Charter company does not succeed in doing so, the Client has the right to break the contract and to be compensated with the funds already-paid. If the Client decides to wait for a substitutive vessel more than the previously agreed 24 hour limit of overtaking of the same, he can be refunded to the extent of the sum of the rent for the number of days he was not able to use the vessel. The responsibility of Charter company for amounts higher than the previously agreed for the rent, as well as other means of compensation is excluded. When taking over the vessel, the Client is obliged to submit to the Charter company representative an authenticated voucher which designates that the whole amount of the rent has been completely settled. Charter company is obliged to give out to the Client a technically proper and completely equipped vessel with full tanks of water and fuel, clean and dry, ready for sailing. During the delivery of the vessel, the Client is obliged to carefully test its condition and the equipment and in order to verify whether the inventory checklist corresponds to reality. Eventual objections are presented exclusively before the beginning of the rental. Eventually concealed defects of the vessel and/or the equipment, which were not known to Charter company when submitting the vessel, as well as damages and defects after returning the vessel that Charter company could not foresee, do not give the Client the right to ask for reduction of the rent. The Client is obliged to return the vessel in the appointed time and place (9:00AM at the latest) to the defined port mentioned in the contract, clean and neatly, with full tanks of fuel and water, ready for further sailing, i.e., in the same condition he took it. If due to whatever reasons during the trip further sailing is not possible and/or exceeding the negotiated date of return is inevitable, further instructions should be given by contacting the base manager and Charter company. The information about the announcement must be written in the vessel's diary. Adverse weather conditions cannot justify the exceeding of the negotiated return date of the vessel. Exceeding is only justified in cases caused by force majeur. When it comes to exceeding the negotiated date of return, the Client guarantees that for a 3-hour delay he will pay additional daily rent. For delays over 3 hours and beginning a new calendar day, the Client must pay daily rent multiplied by the additional expenses that have come up due to the late returning of the vessel. Therefore, returning the vessel to the designated port in the evening hours of the day before checking it out is advised. Deviations from this are possible but exclusively upon previous agreement with the Client and Charter company. When returning the vessel to a port that is not negotiated as final, the Client must reimburse Charter company for all expenses connected with taking it back to the negotiated port, a delay fine, if such has occurred, as well as for all damages that occur during transferring back the vessel and that are not covered by the insurance policy. When returning the vessel, an Charter company representative will perform a complete check-up of its general condition and the equipment and compare the present inventory and equipment with the inventory list. The Client is obliged to report to the Charter company representative eventual defects and damages. If damages have occurred on the underwater part of the vessel, or if there is such suspicion, a detailed check-up needs to be done with the help of a crane or a diver. Charter company decides in which way the check-up will be performed. However, the Client is charged with the expenses of the procedure. The expenses for lost and damaged parts of the vessel, or the equipment, caused by negligence or bad management on the Client's side, or his crew, are billed to the Client. Charter company will compensate that sum from the deposit of the Client. In case that the vessel is returned dirty and untidy, Charter company will use the Client's deposit for the special cleaning of the yacht. Candor Charter will also charge for fuel cost in a case the Client does not return the vessel with full tanks. During the time of renting, the vessel remains possession of Charter company or the owner with whom the agency has signed a cooperation contract. Until the moment of proper returning of the vessel, it is considered to be rented to the Client. If due to whatever reason the Client wants to extend the renting period, he has to sail back to the designated port and contact the Charter company representative and in written form to ask for a permission for a new time of disembarkation and a new designated port. Charter company is obliged to take care of the realization of the offered services with the attention of a good manager and to watch after the rights and interests of the Clients, in accordance with the good Croatian tourist tradition.Charter company is obliged to make sure that the guest receives all the services he paid for in the reserved term, and thus is responsible to him for any possible unfulfillment of the services, or a part of them.In case of changes or unfulfillment of the services caused by force majeure (war, riots, strikes, terrorist activities, sanitary disorders, adverse weather, government official, etc. ), Charter company refuses any responsibility. 1. owns a valid passport. The Client bears all expenses of document loss or their theft. 3. he will consciously and carefully handle the vessel, the inventory and the equipment, especially that he will not run it under the influence of alcohol or narcotics, and that in every way he will behave responsibly to the pleasure of his crew. 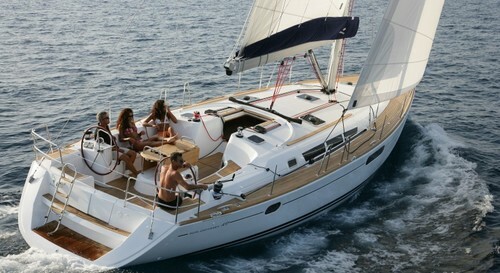 Croatia is possible only by means of previous written permission by Charter company. 5. he will not sail in forbidden sailing zones. 6. he will not sail and plan routes (itinerary) without previously studying the navigation charts, potential routes, nautical guides and all other guides found aboard, especially that he will not sail in areas that are not satisfactory researched and insufficiently covered by the nautical maps. 8. he will carefully plan and maintain his itinerary so that the place of turning around and heading towards the port of departure be, at the most, two days of sailing from the that port, which is approximately 40 NM. 9. he will not sail at night without the use of navigation lights; he will sail with the adequate watching over the deck and with the necessary attention directed toward potential obstacles. 10.he will sail in safe weather condition, in good visibility, and that he will avoid obviously dangerous areas. 11.depending on the atmospheric conditions, he will taken in the sails in time, and for the purpose of comfortable sailing, he will not allow unnecessary damages on the mast, the sails and the lines. knots, or when the general weather conditions are unstable. 13.he will not leave port or the anchoring place if the vessel or part of the equipment (such as the engine, the mast, the lines, the bilge pump, the sail equipment, the compass, the navigation lights, the safety equipment) is not properly functioning. 14.he will not leave harbor if port authorities have issued a sailing prohibition, in case of insufficient gas supply, and in case of sickness of any crew member. 15.he will not use the vessel for commercial purposes (transporting goods and people for a compensation), professional fishing, sailing school and similar activities. 16.he will not further rent the vessel or give it away to a third party. 17.he will not take more passengers onboard more than the vessel is intended for, and that there will be no more people onboard than the ones listed on the crew list. 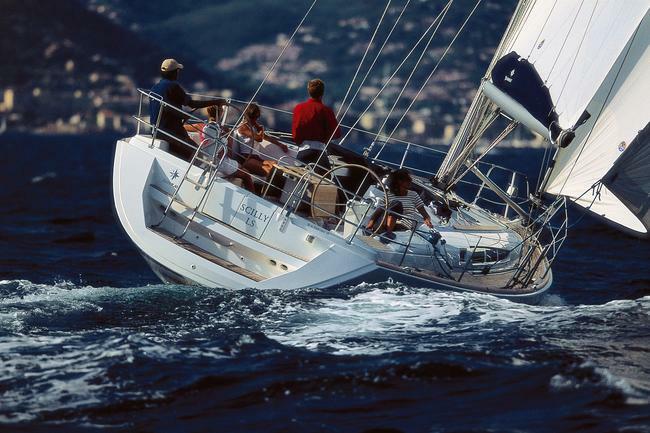 18.he will not participate in a regatta or other competitions without the agreement of Charter company. 19.he will not tow another vessel, except in emergency cases. 20.he will take all prevention measures in order to avoid situations in which the rented vessel needs to be towed. If such situations occur, the price of towing needs to be negotiated with the captain of the other vessel before towing, for which the Client needs to ask for the Charter company's permission. 21.he will respect all customs and other regulations of the Republic of Croatia and that he will not take onboard any objects undeclared to the customs . 22.he will personally watch that he himself and all crew members behave in accordance with all valid laws and regulations of the Republic of Croatia, especially obeying fishing and diving laws; and that no archeological valuable objects should be found onboard. 23.he agrees that the renting contract is cancelled, if it is established that some crew member has broken any valid regulation and/or a law of the Republic of Croatia, which means that the vessel should be at Charter company's disposal, without any right of compensation on the Client's side. Furthermore, it is hereby specially established that Charter company will be free of any responsibility before any government officials because, for all committed violations and/or criminal offences, the Client is wholly responsible before the government organs. 24.he will overtake full responsibility and thus compensate Charter company for all expenses for which it has been established that have been caused by actions and failures on the Client's side and for which Charter company is materially and criminally responsible to a third party. 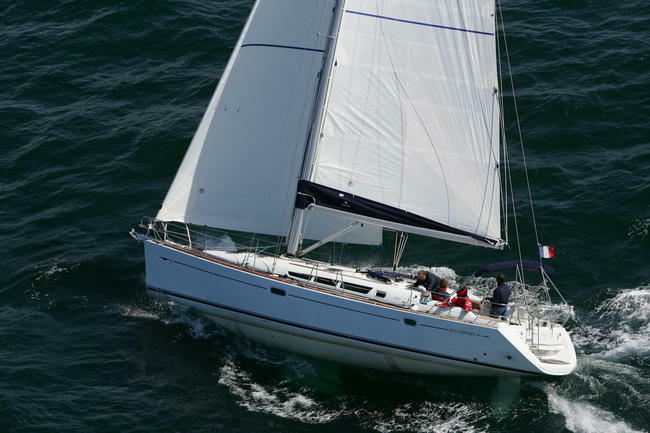 25.the responsibility of the Client for breaking any rules of sailing and all other rules, performed during the renting of the vessel, does not stop after the end of the renting period. 26.in case of damaging the vessel, accident or breakage, he should record the course of happening and immediately report to Charter company. He should also file a report of the sea accident to the closest port authorities, doctors or corresponding authorities so that he can get their attest. 27.in case of any defect of the vessel, or its equipment, caused by the natural expenditure of the vessel or the equipment, he should immediately report to Charter company. The agency is obliged to fix the defect within 24 hours upon receiving the report. If Charter company fixes the defect within 24-hour period, the Client has no right to any compensation. The contact telephone numbers, which should be used in case of breakage, are listed in the vessel's documentation. 28.he will fully compensate Charter company for any damage performed in negligence and/or by the unconscious actions of the Client, which are not covered by the insurance, and for which Charter company is responsible to a third party. 29.in case of disappearance of the vessel and its accompanying equipment, inability of sailing of the vessel, expropriating of the vessel and/or its confiscation, or prohibition by government officials or a third party, the Client must immediately report to the competent authorities and Charter company and ask for a copy of the police report. 30.in case of confiscating the vessel by any government officials due to irresponsible or illegal actions (commercial fishing, extracting antiquities from the sea bottom) performed during its renting period, he will take full responsibility. 31.he alone is responsible for contaminating the sea during filling the gas tank of or disposing of garbage or waste in forbidden areas outside the regulated places. 32.he will check the level of oil in the engine every day. The Client is fully responsible for damages caused by an oil shortage. 34.he will take aboard home pets (dogs, cats, birds) only with the permission of Charter company. Taking home pets aboard is not permitted. Exceptions are possible upon previous agreement. If he decides to act differently than hereby stated, the Client alone takes upon himself all material and criminal responsibility. The Client must possess necessary nautical knowledge and skills and a valid sailing permit for running the vessel at open sea, as well as a confirmation of finished course on handling the radio station. If the Client does not posses the required documents, knowledge and skills, he is obliged to let the vessel be run exclusively by a crew member who owns such documents. The Client, or the person appointed as a skipper by him, may be asked by an Charter company representative to demonstrate his knowledge and skills. The Client is billed for the testing expenses. The time spent for testing is included in the renting period. If during testing the Charter company representative establishes that the Client, or the person appointed as a skipper by him, does not possess enough knowledge, experience and/or valid sail permits, then an Charter company skipper will join the crew at additional cost, in accordance with the official price-list. If the Client does not accept the appointed skipper, Charter company can exercise its right to forbid sailing out of the vessel, to cancel the contract and to keep the whole amount of the deposit. In this case, the Client has no right to be compensated. If the Client knows in advance that he will need the service of the official Charter company skipper, he ought to notify the Charter company personnel about that during reservation. The insurance is defined by the conditions established by the insurance company with whom the owner of the vessel, or Charter company, has signed the policy. The insurance of the vessel covers damages inflicted to and by a third party up to the amount of the reported value of the vessel (obligatory insurance). The vessel is also covered by a comprehensive boat insurance that equals the amount of the reported value of the vessel. The comprehensive boat insurance covers damages that exceed the amount of the deposit and are caused by force majoure, but not damages caused intentionally or by negligence. The Client, the crew and their personal belongings are not insured and therefore we suggest that he should do that on his/her own. All damages and/or losses must be reported to Charter company immediately upon occurrence. When there is a greater damage, as well as in the case when more vessels participate in the accident, it must be reported to the competent port authorities and to ask for the corresponding document that will additionally be handed over to the insurance company. Damages covered by the insurance policy that were not immediately reported to Charter company, to the competent authorities, to the insurance company, and for which all necessary documents do not exist, will not be acknowledged, according to the conditions of the insurance. Therefore, the Client is personally responsible for all damages and will be charged with all restoration expenses. When the vessel is damaged, the Client will be charged with all expenses in accordance with the conditions of the comprehensive boat insurance to the amount of the deposit. The expenses of all damages of the vessel and/or its equipment caused by negligence and/or loss of one or more equipment parts are born in full amount by the Client. The sails are not insured and thus the Client will be charged with all repair expenses. The responsibility of the Client is excluded only in case of natural wearing out of one or more sails, or in case of damages caused by breaking of the mast. Engine damages caused by the oil shortage are not covered by the insurance; thus, the Client will be charged personally for all repair expenses The Client takes full material responsibility for damages caused by anchoring and docking into ports and small ports that are known as being unsafe. The Client himself is charged with all expenses or defects that have occurred while the vessel was his responsibility and that are not connected with the natural wearing out if the vessel. Before the process of reparation, the Client has to come to an agreement with Charter company concerning the technical justification of the necessary repair. 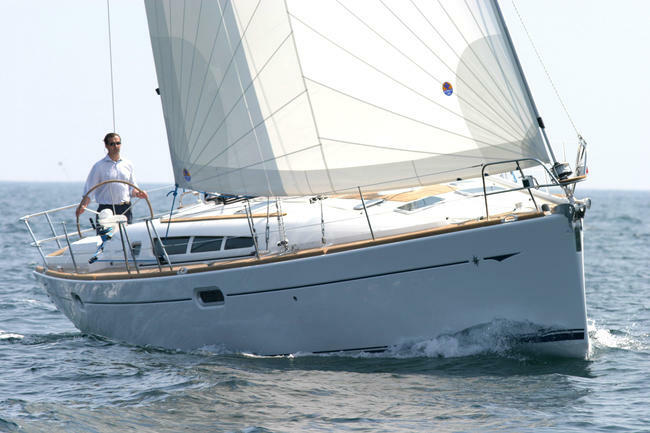 Charter company covers all damages or defects that have occurred, or originated during the renting period, and that are connected with the natural wearing out of the vessel. Before the process of reparation, the Client has to come to an agreement with Charter company concerning the technical justification of the necessary repair. The Client is to pay the bill right at the repair place and to keep it so that, when returning the vessel, he may be refunded with the whole amount. The Client is obliged to inform Charter company about all breakages and damages immediately after their occurrence, no matter what their cause may be. 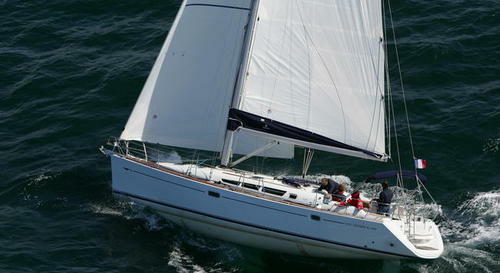 Charter company will instruct the Client in what ways to perform all necessary activities and/or change of equipment. The Client will be charged with all unauthorized repairs and changes of parts of the equipment. Charter company is not responsible for losses and/or damaging the property of the Client and the rest of the crew, someone else' property that have been laid down and kept on the vessel, in the transportation vehicle, in the Charter company office or in the owner's vessel. By paying the necessary deposit and agreeing to the general conditions of renting a vessel, the Client renounces his rights of requesting a compensation from Charter company, or from the owner of the vessel for losses and/or damages of his personal and/or someone else's property. If the photographs of the vessels presented on our web pages have the Charter company copyright sign, then these pictures correspond to the real vessel the Client will be renting. We want to especially emphasize that photographs of the vessels that do not have the Charter company's copyright sign are not the exact vessels the Client will reside in, but only representative pictures of the vessel's maker, which still refer to the required model. The photographs of the vessels are published exclusively for orientation purposes and in order to help our users. It is possible that the Client may notice some irregularities between the photographs and the real state of the vessel; however, these irregularities cannot serve as valid reasons for the Client's request of a substitutive vessel nor for requesting any kind of compensation, if the real offered model corresponds to the rented one. The presentation of the vessels we offer contains a plan of their different variations, depending on the number of cabins. 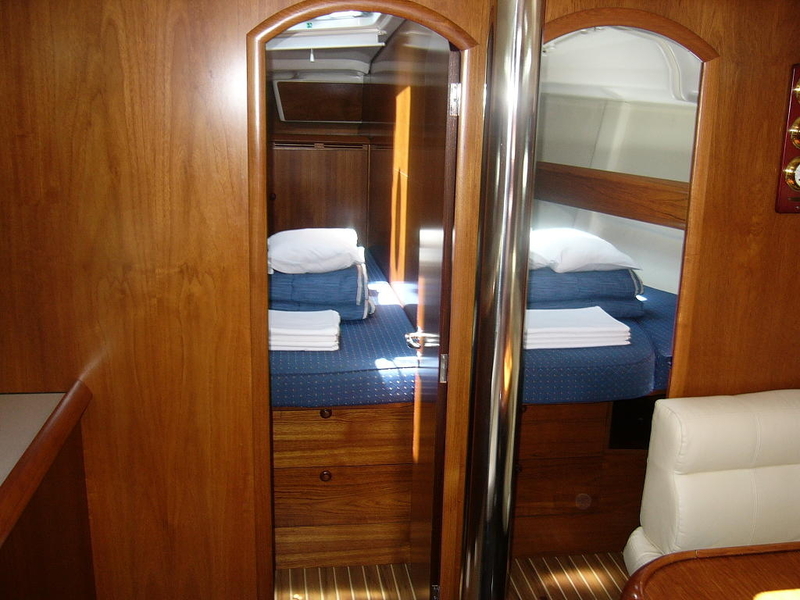 Charter company is obliged to visibly emphasize the real number of cabins. We kindly ask the Client to pay attention to the number of cabins of the vessel he is about to rent. All possibilities of later complaints from the Client containing that he has been given a vessel with smaller number ofcabins than presented by the plan on theinternet, are excluded. If any Client feels that the already-paid services are not completely and/or qualitatively performed, he/she has the right to address a complaint to Charter company. The Client may request a proportional compensation only if during checking-out of the vessel he/she files a written complaint and encloses all corresponding documentation. Both the Client and the Charter company representative should sign the written complaint. Charter will not consideradditionallyreceived and incomplete documented complaints. Charter company is obliged to come up with a written solution to the accepted complaint within 14 days upon receiving it. The company can postpone the solution period for maximum another 14 days for the purpose of collecting data and verifying of the complaint that, directly or indirectly, concerns the involved persons cited in it. The Client renounces any mediation by any other person, the arbitration of the Association of Croatian Tourist Agencies, law institution or giving information to the means of mass media until Charter company comes up with a solution of the complaint. If the Client breaks this regulation, because of the violation of the procedure, no matter his assertions, he loses the right of compensation. Charter company has the right to ask for a compensation from the Client due to the harm he has done to the agency. The highest amount of compensation can equal the amount of the advertised service but cannot comprise of the already used services or the whole amount of the rent. This excludes the Client's right for a compensation of non-material damages. If the Client is not satisfied with the Agency's solution and cannot find a peaceful and reasonable agreement with it, he has the right to court arbitration. The court in Split is authorized for applying all Croatian law regulations in such cases. All changes and additions to these general conditions of renting a vessel are possible and valid exclusively in written form and signed by both the Client and the agency.